Global smartphone growth is slowing: Smartphone shipments grew 3 percent year over year last year, versus 10 percent the year before. Voice is beginning to replace typing in online queries. Twenty percent of mobile queries were made via voice in 2016, while accuracy is now about 95 percent. China remains a fascinating market, with huge growth in mobile services and payments and services like on-demand bike sharing. While internet growth is slowing globally, that’s not the case in India, the fastest growing large economy. The number of internet users in India grew more than 28 percent in 2016. That’s only 27 percent online penetration, which means there’s lots of room for internet usership to grow. Mobile internet usage is growing as the cost of bandwidth declines. Wearables are gaining adoption with about 25 percent of Americans owning one, up 12 percent from 2016. Leading tech brands are well-positioned in the digital health market, with 60 percent of consumers willing to share their health data with the likes of Google in 2016. Moral licensing is a term commonly used in social psychology and marketing, referring to the unconscious way in which we are less conscious of immoral behavior, after acting in a moral way. For example in one study where customers viewed a 40-second video praising their actions, 33.3 percent of those customers bought eco-friendly batteries. Those who saw a similar video, this time praising the company's efforts, purchased the eco-friendly batteries 69.6 percent of the time. Moral licensing has growing significance in the retail industry today, as more brands focus on sustainable and corporate social responsibility marketing. Maryam Kouchaki and Ata Jami reported for Harvard Business Review that corporate philanthropy reached $18.5 billion in 2015, and cause-related marketing increased to about $2 billion in 2016. In the short-term, if brands and retailers want to effect altruistic consumer behavior, we will use messaging that asks for a commitment to a cause, rather than praising customers for their dedication. Want to learn more about moral licensing? The last month has seen significant mobile news for retailers and brands. Nordstrom is now selling product from Instagram, forever ensuring that it’s feed will link to a product page every time. A click on this image feeds into the product page for the pearl bracelet, $48. Not the soda. Apple is making a move into less affluent markets with the iPhone 5C, Boku is enabling carrier billing in the European Union, PayPal separated from eBay, and retailers are embracing mobile in-store service at a much higher rate. The piece of mobile news that caught most retailers’ ear was the launch of Apple Pay in the US. It will be one of the easier technologies to implement, and given the market penetration of the iPhone (in the US it is 42.4 percent as of July 2014), and the mobile payment method major retailers will want to adopt. Apple Pay appeals to customer’s sense of security because only a token is transferred to the retailer, no credit or banking information. But this does have implications for loyalty programming as no other customer information is connected with the transaction. Personalized online shopping experiences are at risk for these customers, as are loyalty rewards. Retailers can reach out to payment terminal providers to set up their business for Apple Pay. EMV standard contactless payment (tap payment) will need to be functioning in-store. 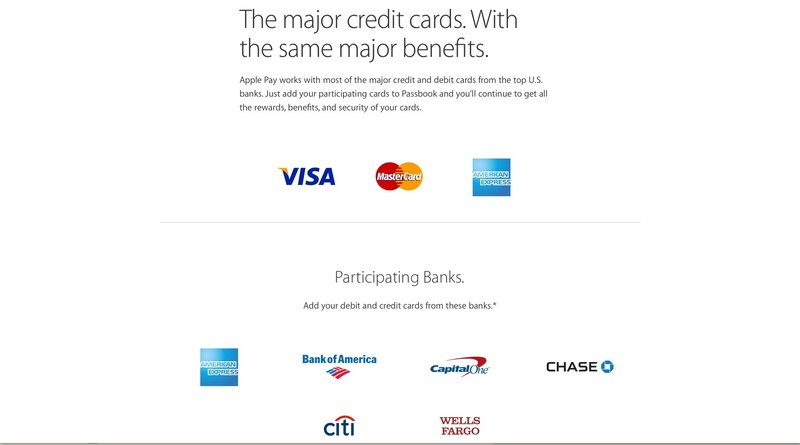 And for those brands and retailers with Apps – familiarize yourself with the Developer page for Apple Pay. ADDITIONAL | Has mobile payment hit it’s tipping point? The mobile payments market has had big news in the last month – the release of Apple Pay, and PayPal’s announced split from eBay. Yesterday Boku announced that customers are able to pay for real world goods by adding the payment to their mobile phone bill. Internet access required, NFC (near field communication) technology not. This method of payment is called carrier billing. Previously carrier billing has been limited to digital wallpapers and ringtones, but with new deals with Vodafone, O2, and EE, Boku is expanding its role of e-Money issuer in the UK and EU. Boku will negotiate limits with individual phone carriers (and merchants). They are operating using industry standard limits for now. £30/transaction £200/month will not facilitate an auto purchase, but does allow for magazine and convenience purchases, including movie tickets, parking, takeout, and public transportation. “It may not yet revolutionize mainstream retail payments, but it could well see people using mobile to pay for cans of pop, newspapers and magazines and making other ‘micropayments’ in small retailers and the like, while the mainstream high street stores are still grappling with finding budget for beacons and other tech” commented Paul Skeldon at internetretailing.net. Who would have thought that it would be corner shops and kiosks that got the first taste of mobile payments in retail? Merchants will need to sign on, thereby allowing customers to use this method of payment. Consumers will not need to register. In most instances it will take only confirmation via text to process the transaction. No credit card information exchange, in fact, no credit card required. The global m commerce market is set to grow from $116 billion in 2014 to $467 billion in 2019. The focus in North America has been on wallets and beacons, but carrier billing is likely to have a larger global impact in the end – serving regions where merchants and consumers have cell-phones but not NFC technology. “Suddenly, mobile payment has become simple to implement” summarized Skeldon. ADDITIONAL | Has mobile payment hit its tipping point? Google site search: Hurdle for retailers or consumer service? Google is in constant evolution, and it remains the number one search engine. It is important for retailers to follow the company’s updates, difficult to decipher as they may be. In a move to keep users on their search page for longer, Google launched search within a site. The clumsy name simply indicates that below the header for a particular retailer, is another Google search box. Instead of immediately clicking on the retailer’s website, the user may enter a secondary search on the same Google page. Search within a site searches are treated like other search result pages. Which means, relevant advertising is also returned. The organic results are from the specific retailer. The ads are from any company that has purchased advertising – including the direct competition. 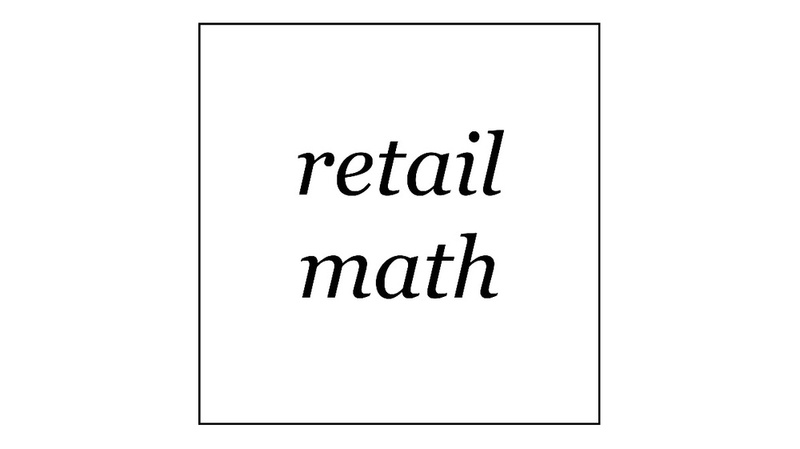 We searched ‘marc jacobs’ at Revolve Clothing (above), and Shopbop – another ecommerce retailer was the top return (below). The rest of the results were all from Revolve Clothing. As Mark Ballard, director of research at Rimm Kaufman Group LLC articulates, “You’d end up generating ads for your competition on a search that otherwise would have taken place on your site”. Google argues that the search feature on many commerce sites are plainly not very good, and the company is looking to fill that second query result on its own search pages. There is a solution for retailers wanting to control the returned results, and eliminate any advertising. Google has allowed for the retailer’s own search results page, as long as it’s formatted correctly and submitted to Google. Amazon and Walmart have already opted-in. The search within a site feature is one of the newest the company is using to keep retailers on the Google search page longer. Structured and Rich Snippets pull key product and site details (like a camera’s dimensions, resolution, etc.) 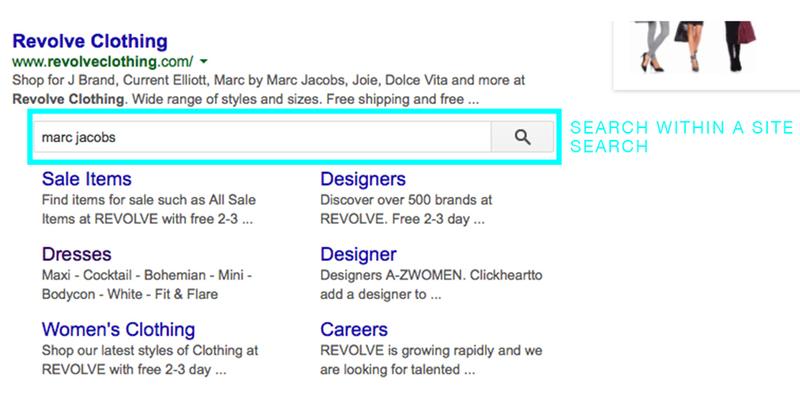 from brand and retailer websites, displaying them on the search results page. Thus, delaying the click to a retailer / brand’s webpage. At this point, search within a site doesn’t seem to be altering consumer behavior in a significant way, but Google is actively expanding both the Snippits and Site Search features. ADDITIONAL | Google’s Top holiday tips for retailers. This year’s sales results (10 million) were without China, Hong Kong, and Taiwan, the company’s third largest market globally. The region is Apple’s fastest-growing major market but the CCTV recently published a report indicating the phone may be a threat to China’s national security. It appears that Chinese regulators have not approved the most recent iPhone yet for sale in the country. Perhaps the most interesting news comes from the iPhone 5C and a more serious play for a new market. Traditionally the company upgrades each of the iPhone’s once a year. This month, instead of announcing an upgrade for the iPhone 5C, Apple will sell the same phone for a lower cost. This is a strong strategy to increase market share in less affluent markets. By selling the same plastic model for a longer period allows the product cost to drop. The new lower cost? Free with a contract (in the US). Has mobile payment hit its tipping point? In June 2013 mobile surpassed desktop and laptop usage for minutes on e-commerce sites for the first time, at 55 percent mobile versus 45 percent desktop. Mobile’s importance in retail has often been spoken about. For brands and retailers who haven’t mastered their strategy, now is the time. The release of the new iPhone 6 is likely to represent a tipping point in mobile payments, bringing it quickly into the mainstream. Several device manufacturers, retailers and credit card issuers have already adopted the NFC technology. Ensuring its quick adoption: roughly 45 percent of consumers replace their smartphones every year, according to Roger Entner of Recon Analytics. Apple Pay is a system with the consumer firmly top-of-mind. A transaction-specific security code is used to process the payment, without exposing the customer’s name, bank, or credit card information to the merchant. Apple doesn’t store the transaction information either. The boon for retailers here is in security. If they are not storing customer information, their attractiveness to hackers is minimized. But what is gained in trust is lost in insight. Some current practices around loyalty and service will need to adjust. Because customer data is not transmitted to the merchant, retailers will be blind to who is purchasing. The in-store data may look like many random transactions instead of customer-level behavior. Retailers and brands without a strong loyalty program, credit and debit card information easily identifies customers. Determining who is buying what is about to get more difficult, and this puts customer relationships and loyalty at center stage. Retailers like Starbucks, Sephora, Target, MLB.com and OpenTable are still solidly positioned with highly adopted apps and Passbook-enabled loyalty cards. Another reason to ensure your app is well used: 46 percent of US shoppers claim to be less likely to shop the competition when inside a company’s mobile app. Many retailers also rely on stored customer purchase information when processing returns. As this information is no longer kept, return policies and procedures will need to be adjusted at store-level to ensure ease of returns is maintained. 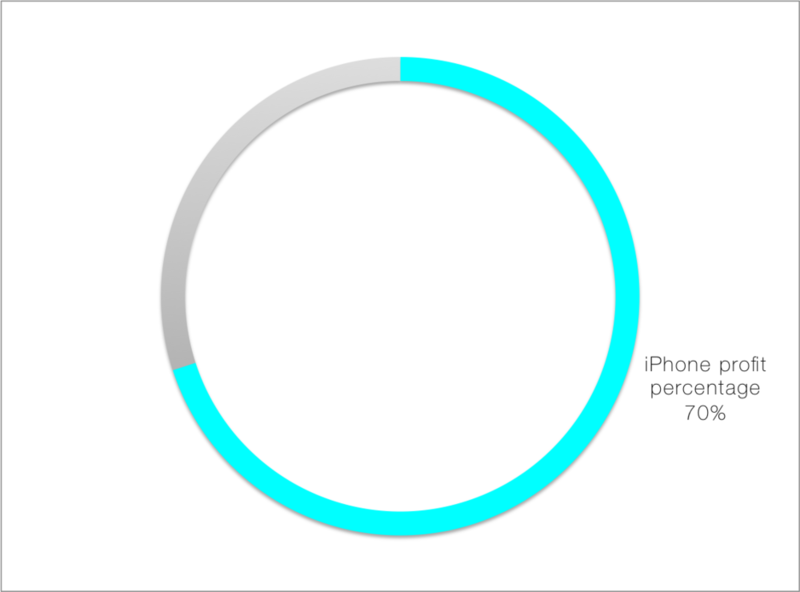 Apple Pay is an opportunity for mobile engagement with a larger slice of customers. Brands and retailers need to invest the time to determine how they will capitalize on this opportunity: driving customer loyalty while enabling instant payments. SEATTLE, Aug. 26, 2014 /PRNewswire/ -- Nordstrom, Inc. (NYSE: JWN) is partnering with Curalate as the first company to launch Like2Buy, a platform that will enable a more seamless shopping experience for its customers through Instagram. The blue highlight shows the link to Nordstrom's Instagram Shop. Like2Buy helps bridge the gap between Instagram and Nordstrom.com by allowing customers to purchase items featured on the Nordstrom Instagram page. Here's how it works: When a customer sees a photo posted on Nordstrom's Instagram feed that they're interested in purchasing or learning more about, they simply click on the Nordstrom profile name and then click the link on the Nordstrom profile page. Next, they will see a gallery of all the featured products and can select an item and go directly to Nordstrom.com to complete their purchase. Customers can also use the "My Likes" function in the gallery to curate items they love for future inspiration or to purchase at another time. "We continue to hear from many of our customers that they want speed and convenience incorporated into all the places they shop – including our social platforms," said Bryan Galipeau, social media director at Nordstrom. "We connect with more than 500,000 customers on Instagram by posting items we hope they find inspirational, beautiful and fun. Like2Buy enhances the experience for customers who want to take the next step and learn more about the great fashion we're featuring, to make a purchase or save items for another time." "Instagram's high engagement rates make it a powerful platform for branding and commerce. With Like2Buy, Curalate is making it easy for Nordstrom to leverage Instagram in a way that providesNordstrom's customers even easier access to the products they want," said Apu Gupta, CEO and co-founder of Curalate. A click on the Instagram image will take you directly to the product page. The text is from the company's Press Release. Does your organization have a Canadian database? The Canadian government has enacted new legislation with hefty fines for individuals and companies sending electronic communication to its citizens. The rules, effective July 1, 2014, are outlined under CASL (The Canadian Anti-Spam Legislation) – and clearly indicate the need for consumer and recipient consent prior to sending any communication. · Requests for consent must include a statement indicating unsubscribing from the list is always an option. · Unsubscribing must always be an option with every communication. · Consent must require an action, such as checking a box. The box cannot already be checked (that would require no action). CASL also covers notes on misleading or false subject lines, the unsubscribe process (within 10 days), communication requirements (physical mailing address and additional contact channel), and referral guidelines. For additional details, please refer to the website. The good news? Brands and retailers have until June 30, 2017 before the Implied Consent deadlines are enforced. Speaking of communication - we have two excellent newsletters which provide well-edited content: fashion and retail stories which caught our eye, spark ideas, improve performance and enhance professional skills. Sign-up today. Most retailers interpret mobile to be an extension of the desktop online/ecommerce experience. Sephora understands that mobile is not just a convenient storefront, but it is a personal assistant. When looking closely at consumer behavior, people are using their smart phones in many ways. It is common for someone to check and send a work email, make plans with friends, post something to Instagram. Sephora’s willingness to participate, and enable their customers to engage with them throughout the purchase cycle is driving their growth. The beauty retailer will see growth of 150 percent in mobile this year, significantly outpacing the rest of the industry. “Maybe her experience with us starts with something fun” says Johnna Marcus, Sephora’s director of mobile and digital store marketing. The customer could be browsing Pinterest or tumblr looking for inspiration, or on the company’s website to pick-up a new technique. The process of discovery may not lead to an immediate sale, but may lead to a bookmark. Consumers can click on a heart by each product pic to add it to her ‘loves’ list. “Maybe she’s not ready to throw something in her cart right now. We don’t typically do that, so she takes the products she likes and adds the to her loves list. After dinner she hits up her iPad to consolidate her purchases or shopping list there,” continues Marcus. 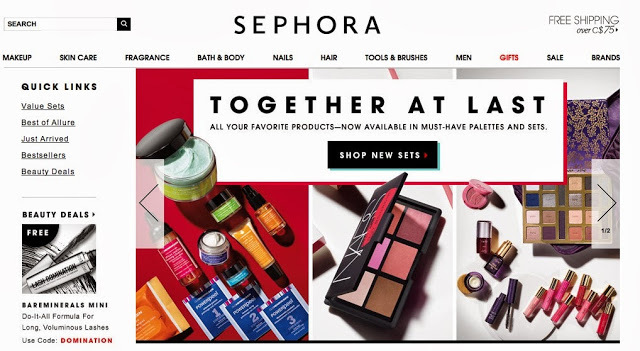 The love list, of course, ties in nicely with Sephora’s Beauty Insider loyalty program, accessible and connected cross-channels. Like many loyalty programs, Sephora offers discounts and gifts with purchase to its members, tracks purchases and items the customer has favorite. Not only a significant data tool for the retailer, but it is also a strong organizational tool for busy customers. “Our clients are juggling a lot of things”, with lists aiding in the research and pre-shop phase that many customers cycle through. Sephora also offers My Beauty Bag, which is essentially a collection of a customer’s past purchases. Items like the color of foundation purchased and your favorite mascara are stored for quick purchase without having to go through the process of selecting the right shade each time. Sephora has had over a year of mobile POS in its stores, and learned some key lessons in the process. There needs to be sufficient space to accomplish a mobile check-out well. The interaction (data collection and upsell) between the cashier and customer still needs to happen well, and packaging/bagging product also requires a certain degree of care. Overall, Marcus indicates its been a great experience in-store, particularly in their Beauty Studio where they host their services like free 15-minute touch-ups, etc. “She can make a decision about what she wants and what she wants to save for later without having to put her back in line”, Marcus says. Regardless of where the customer checks out, Sephora is aiding the beauty purchase experience. First by providing content that will inspire and educate the customer, the retailer is facilitating a bit of fun, and some of the research involved in a pre-shop. Gathering the lists of items the customer wants to try, and her past purchases make the “ready-to-shop” experience organized and efficient. Maybe that customer transacts and complete her purchase online at this point. Or perhaps she heads in-store where she can continue her research, interact with staff, and purchase there. Sephora is a true customer-centric retailer in this multi-channel approach – one of the few who don’t seem to mind where the customer purchases, and will do everything to give her an excellent beginning to end experience. Marcus: “We want to be where our clients are. If she wants to come in-store, we want to be there for her and provide really great customer service. Is the beauty category heating up online? Retail Assembly is a mission driven organization, inspiring already-great retailers and professionals with content, cases, tools, and resources to grow their business. We consistently receive great feedback on our online courses and workshops which help people make new connections, give a stronger foundation, and spark new ideas. Dive into a topic! If you’ll be in Vancouver this January, be sure to check out our e.comm session at KNOWSHOW. 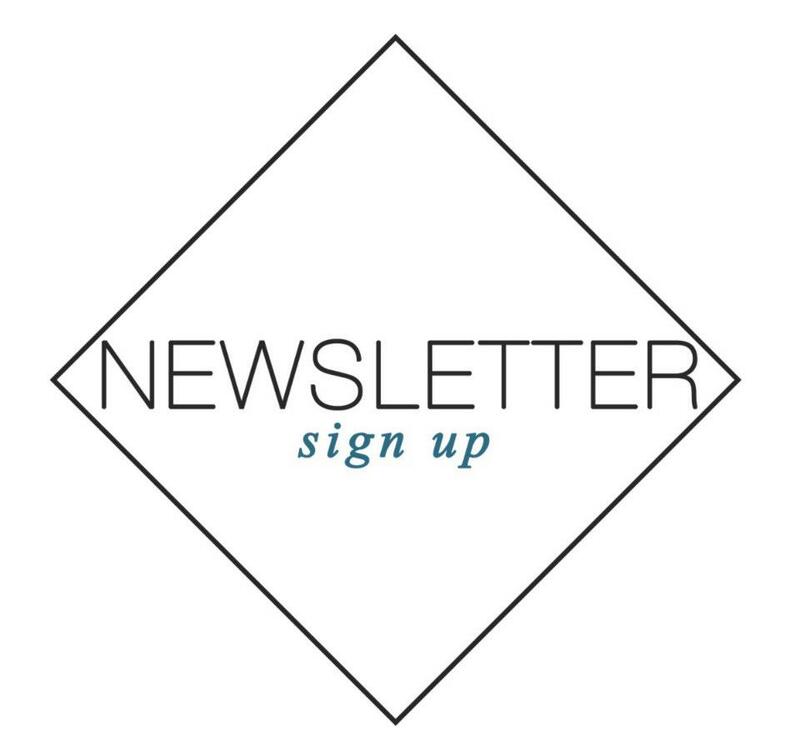 & Finally, sign-up for our newsletter to keep on top of the most important strategic stories in beauty, retail, and fashion. Is the beauty industry heating up online? The industry’s biggest players were all championed in the news this month for their innovation in beauty e-commerce. But we’re not sure much progress was actually made north of the border. Amazon, a Seattle-based retailer, did launch its Luxury Beauty Store online – which is big news for consumers on both sides of the border. Although, the assortment was initially small, with fragrances from Burberry, and selections from Nars, Deborah Lippman, and L’Occtaine. 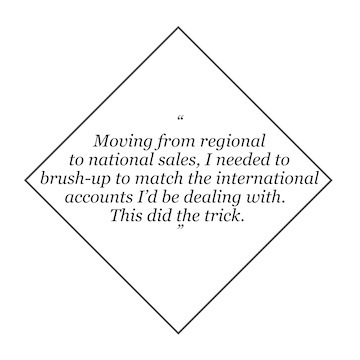 The commitments the retailer has made to luxury beauty brands, should ensure quick onboarding and assortment growth. Amazon will maintain pricing which is comparable to what other retailers offer, and showcase the product in a distinct environment, in the Luxury Beauty Shop. Amazon is difficult to ignore, in 2012 a Forrester survey revealed that 30 percent of online buyers began researching their last purchase at Amazon (versus only 15 percent on Google). And the free shipping on orders of $25 or more is a significant advantage over Sephora’s $75. Aside from the 6 new brands on Amazon, all of which are available via Sephora already, Canada’s beauty industry saw no significant ecommerce news in beauty. Joe Fresh launched their site last month – apparel only, and while we appreciate that Shoppers Drug Mart has attempted ecommerce with Murale, most product featured on-site is “available in-store only” or out-of-stock. Shoppers did make an announcement which received a lot of press, but on closer inspection it appeared to be more of a loyalty program perk. Shoppers teamed up with Beyond the Rack to offer Optimum loyalty card members access to exclusive offers from BTR’s assortment of apparel, accessories, and technology and points on purchases. Beyond the Rack boasts almost 10 million members (only half of which are in Canada), and when compared with Optimum’s 10 million cardholders, the advantage seems to be for BTR. In the last two years, online sales have grown by 24 percent in Canada to $18.9 billion. Although this is only a 4 percent share of total retail sales in Canada, double-digit sales increases are nothing to sneeze at. Why is Canada’s largest beauty player, Shoppers has 28 percent market share in prestige beauty, not online in a meaningful way? Flash sale sites Gilt.com, RueLaLa, Amazon's My.Habit.com, Nordstrom's HauteLook, and Fab.com all began under the same model: to offer their members-only customer base online sales of limited duration (often only hours, or minutes). These sites saw initial success by generating a sense of urgency – limited quantities for a limited time. As the market became saturated, did consumers realize that the quantities were not limited, and the deals were not endless? At first it was difficult for pioneers Gilt.com to find enough designer support to offer sales daily. Eventually, many brands realized that it was an excellent way to rid their inventories of aging product. And as flash sale sites grew their membership base, it also began to make sense for many brands to manufacture product specifically for this channel. Of course, major retailers soon followed, offering their own timed sales. Fab, Gilt, and RueLaLa have recently been through a significant round of layoffs in an attempt to achieve profitability. They, and many of their peer sale sites are still heavily financed and operating to achieve scale quickly. Al Fayed recently announced the closing of its flash sale site Cocosa for that very reason – the ongoing cost of building the brand to leadership was too high. 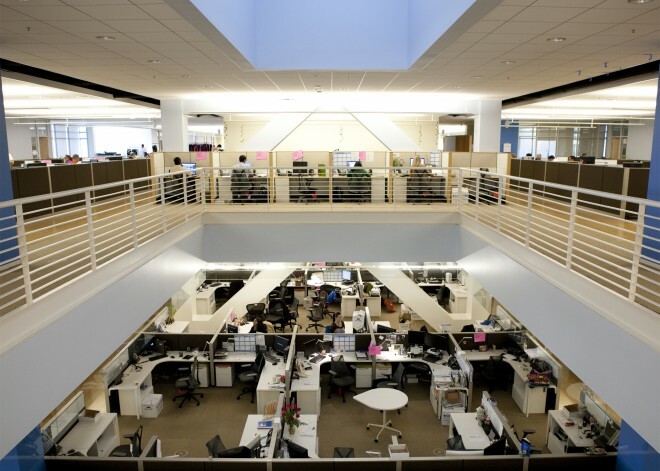 Although, memberships and sales continue to grow for most: Fab had 12 million members before opening to the public, HauteLook boasts over14 million. However, the industry’s best have been shifting their models. Gilt is leading the pack in personalization, and mobile is the perfect avenue for this - what is more personal to us than our smartphones? Forty (40) percent of traffic is from mobile for this group of sites, and Gilt has worked hard to deliver “Your Personal Sale”. This feature is driving mobile conversions by generating a new daily sale which is selected for each individual. "Your Personal Sale" is another success story for effective use of big data. RueLaLa shoppers no longer have to fumble with credit cards on mobile – the company added Google Wallet Instant Buy to ensure those customers coming from mobile could easily purchase. While the two-click purchase depends on the customer being logged in on an android device, with credit card information store, the results have been strong. The repeat business off of this service has been exceptional, with 50 percent purchasing again within the month. Although Amazon has Google beat, offering 1-click purchases, Google Wallet's 2-click option is still far more elegant that navigating and typing in 20 fields on your mobile device - often while on-the-go. Earlier this year, Fab.com shifted into an inventory-based model from a site specializing in flash sales. As the market continues to become saturated, it may be about becoming a great value-driven retailer, and less about the timed 'members-only' sale. While we would love to suggest this is purely a strategic business move based on the way Fab's customer shops, it appears that optimizing investments in warehouse space and shipping may have also come into effect. This month, the company opens its first pop-up featuring South African designs. Flash sale sites have always based their model on a blend of owned inventory and a 'consignment' model, but the blend has consistently been shifting towards owned inventory - particularly when brands are producing inventory for these e-retailers. As well, established retailers are using their flash sites, in part, as an outlet channel. Amazon’s Beaudoin told WWD, “we will sometimes share inventory with MyHabit.com, whose concept is after-market styles”, and indicating that the decision to do so will often depend on the brand and product. Amazon considers each of their sites, including flash site MyHabit.com, to have distinct customers. Similarly, Nordstrom is using HauteLook, which the company purchased three years ago, to ensure their customers are able to shop with them multiple ways – whether that be through their full-line stores, the Rack or HauteLook. The success in the ‘flash-sale’ space seems to come when sites are able to adopt some very classic principles of good retailing: establishing a market and product niche, offering your customer the right product, at the right price. And great customer service, which is what instant payment, product which is available to buy (on-hand), and personalization essentially is. It's nice to see that although shopping channels and the details of how we shop are in constant flux, great product and service still reign supreme. 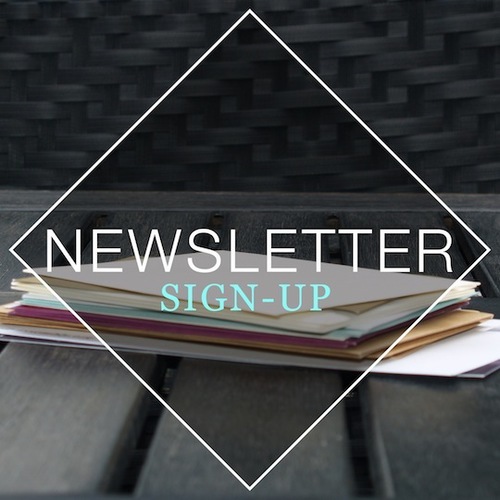 Sign-up for our weekly newsletter. Must read if you love the business side of retail and fashion. & If you'd like to sharpen your industry skills, try one of our courses & workshops. They're vetted and contributed by the retail businesses best and brightest professionals and educators. This week, two major retailers took a step out of their comfort zones, across the country, to play in their competition’s playground. Walmart has expanded its west-coast technology lab, and Amazon has opened a photography facility in New York. Amazon announced the opening of a 40,000 square-foot photography facility in New York, which plans to run 24/7 when it’s fully operational in a few weeks. Fashion, lead by Cathy Beaudoin, is estimated to be a significant blend of the company’s expected $95 billion business in 2013, which includes women’s contemporary Shopbop.com, men’s Eastdane.com, and MyHabit.com which is the flash sale component. Amazon is west-coast based, with headquarters in Seattle and a significant presence in Silicon Valley, but the company was eager to make a home in New York. The studio is expected to serve it’s own businesses, in addition to those sellers who use the Amazon site as a third party sales outlet and platform. “New York is a magnet for talent — models, photographers, digitech people, hair and makeup stylists,” Beaudoin said. It’s as much about cost-cutting and convenience as it is about image excellence. “This is allowing us to scale and obsess over the customer experience”. While Amazon is focused on improving its soft-lines and ‘customer-browsing’ capabilities, Wal-Mart is looking to compete and play catch-up with the etailer in e-commerce technology. The discount retailer is pouring money into mobile and talent, expanding it’s offices in San Bruno, California to include foosball tables and salmon entrees. Talented engineers are what the company is after, as Walmart continues to grow its $10 billion ecommerce channel. Same-day delivery, online pricing, and free delivery (without membership) are the areas Walmart continues to make head-way. Walmart’s online revenue may only be a fraction of Amazon’s, there is significant opportunity with the volume of unique visitors to the site. Walmart counted just shy of 63 million unique visitors in August – which is about half of Amazon’s 133 million. That is a much smaller delta than the revenue measurement. It shows that Walmart has the customer’s interest – it just needs a larger share of their dollar. Earlier in the month Walmart also opened two new online fulfillment centres so it could increase its product selection and ship packages to customers quickly and cheaply – the two strategies which enabled Amazon to become dominant in the channel. Both retailers have significant strength: Walmart has scale and profitability, Amazon dominates the e-commerce world. Both have the vision and awareness to know they need to expand into new areas. That is good news for the future of both. Our online courses and workshops are contributed and vetted by the industry's best retailers. That includes the best mass, global stores, and the most innovative local ones. Subscribe today for a great foundation or refresh! Amazon Fresh has been slow to roll-out beyond the Seattle market, where it launched in 2007. The usual Amazon MO of undercutting prices (up until this year, largely through tax-free purchases for consumers), to gain market share is not as easy in a business like grocery with thin margins and high delivery costs associated with daily delivery service. As Amazon looks to offer same-day delivery in all product categories, and begins to build a fulfillment network to facilitate this service, Amazon Fresh is set for it's rollout. 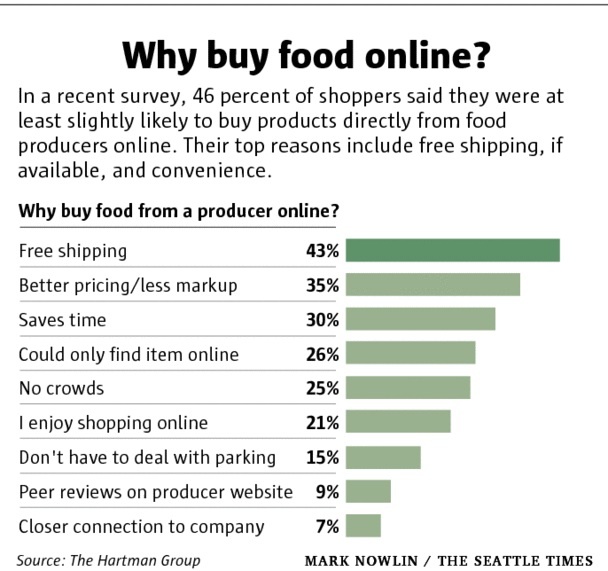 And it's not because Amazon necessarily wants to become your full-service grocer, but because of how often people buy food. Same day delivery is considered to be the next level of service expected by consumers - soon to be a standard option without the high delivery costs it is associated with today. However for an e-retailer, creating a same-day service poses significant logistical and economic hurdles. McCorvey writes, "It's the so-called last-mile problem--you can ship trucks' worth of packages from a warehouse easily enough, but getting an individual package to wind its way through a single neighbourhood and arrive at a single consumer's door isn't easy" . How frequently trucks need to leave the distribution centres, sometimes with minimal volume (trucks that are half-full) poses and economic efficiency problem. If a truck is travelling across town and is only making a few stops along the way, the cost associated with delivery (fuel and time) may be very expensive. 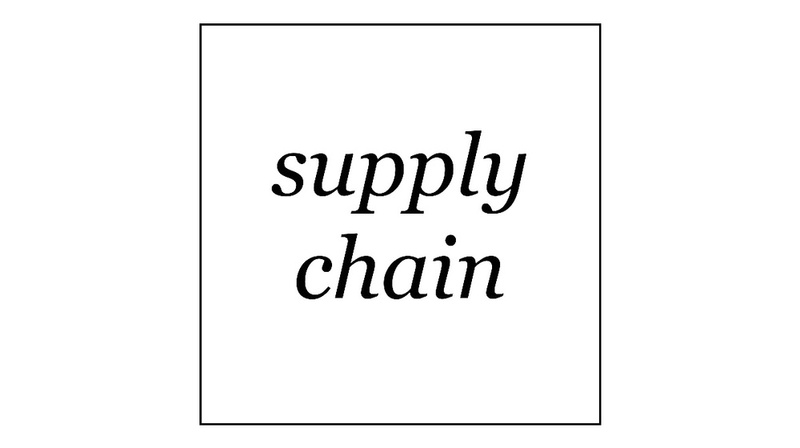 The business key is to balance the immediacy with which the customer wants their goods delivered (the frequency of deliveries) with a volume of merchandise worth delivering. Same day delivery service is something that is expected from Amazon's general merchandise business - and this is where Amazon Fresh comes in. Grocery customers shop at least weekly, and of course, expect same-day delivery. By turning monthly Amazon customers into weekly Amazon and Amazon Fresh customers, the company is generating order volume that makes same day delivery economically viable. And the final piece of the puzzle - how do you ensure customers are consistently purchasing their weekly groceries from you? Through a membership program which will drive customers to it. We did a quick review of the company's Prime program which is built upon free or discounted delivery. Fresh prime offers $299 membership, which means about 30 orders with free delivery are needed to reap the benefit. With 10 million users of Prime, Amazon has already proven that their membership program works. The end result of all the above combined? Leading the industry through customer satisfaction with cheap (or free) same-day delivery, increasing customer purchase frequency, added categories and spend with each order (basket), and a potentially significant new membership program with Prime Fresh. "Think of the synergy between Prime, same-day delivery, and Fresh," says Tom Furphy, former Amazon Fresh executive. "When all of those things start working in concert, it can be a very beautiful thing." There is an additional business advantage to building a powerful network of transportation and fulfillment centres, and its build upon Amazon's exiting Third Party Fulfillment by Amazon (FBA) business. Amazon provides the framework for third party sellers - currently 40% of Amazon's product sales - and when they use FBA, Amazon handles (and takes money from) the picking, packing and shipping. Increasing their transportation and distribution facilities to accommodate Amazon Fresh and same-day delivery will also have the added benefit of increasing FBA business as well. Not bad for Bezos. Great article? Pique your interest? Our online courses and workshops will do the same. Cut the fluff and get right down to business. But it isn't just about the numbers, our content is also product and customer focused. Enjoy! The Weekly newsletter sign-up also available for you. Jeff Bezos, Amazon's CEO, has been the in news in the last few weeks, largely for his purchase and foray into daily print media. This is a company clearly on the rise, with sales that exceed $1 billion annually, but with slim margins. Service and loyalty are part of what Bezos contributes to the company's success. And by service, Amazon largely means the ability to buy anything online, for a better price than anyone, and have it delivered quickly. The introduction of 1-click ordering on the company's mobile app is a great start (and perfect for impulse buying!). Decreasing fulfillment time is another. Amazon already boasts a record 2.5 hours from customer's purchase click to shipping, but aims to get that down to 20 minutes. Amazon also has a membership program, called Prime which, for $79 annually, members receive discount off delivery amongst other perks including free streaming of movies and Kindle titles. What's remarkable about this program is the result being generated. The average spend of a prime member is $1,224 a year - which is $700 more than a regular customer of Amazon's. As they are 10 million strong, Prime purchases and member fees generate a whopping one third of the US divisions profit (it should be noted that at this point, the company continues to reinvest much of its margin back into the company). "Once you become a Prime member, your human nature takes over. You want to leverage your $79 as much as possible. Not only do you buy more, but you buy in a broader set of categories." With the rollout of Fresh, Amazon's grocery concept, Amazon is also testing a Fresh Prime membership at $299 annually, which will additionally allow free delivery of groceries for orders over $35. Within 30 deliveries, members already have the fee covered. The added membership is expected to compliment Fresh's rollout - increasing the average spend in the grocery category. And grocery will increase Amazon's average customer purchase frequency - groceries, at minimum, are a weekly visit. And, if you are to believe Schweitzer's truth about human nature, all Fresh Prime members will want the most of their membership and do their weekly grocery shop at Amazon - taking that business from $0 to thousands per customer annually. From McCorvey's article for Fast Company, "In the old world, you could make a living by hoping that your customer didn't know whether your price was actually competitive. That's a very"--Bezos pauses for a second to rummage for the least insulting word--"tenuous strategy in the new world. [Now] you can't convince people you have the low price; you actually have to have the low price. You can't persuade people that your delivery speeds are fast; you actually have to have fast delivery speeds!" 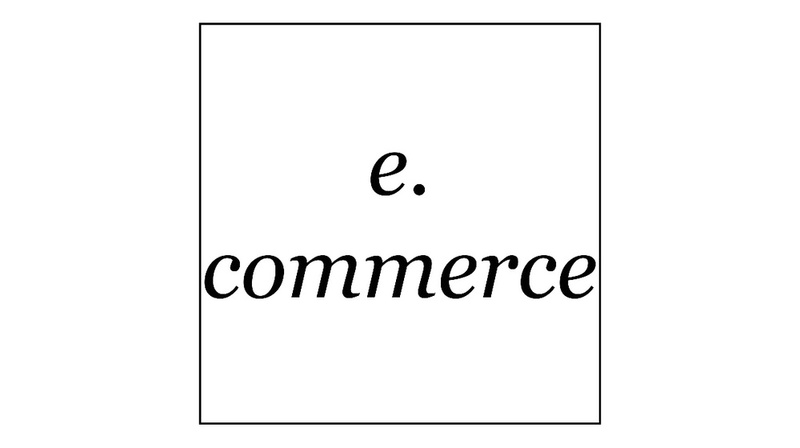 Our e.commerce course launched this week. Innovative strategies of success online stores both big and small, marketing, and boosting sales are all part of the course. Sign-up for our weekly newsletter for more stories we're following. More retailers are skipping storefronts in lieu of online-only shops, and a strong online presence continues to be essential for any brand. Technology companies have taken notice and are racing to help bridge the gap between search and purchasing for consumers. Operating an online store is inexpensive, when compared with the costs of operating a storefront which often requires a larger selling team and significant overhead related to operating a bricks-and-motar facility. However, e.commerce retailers still have to break through the infinite choice online, and catch the consumers attention. Luckily, apparel is the fastest-growing shopping-search-volume-category for Google. Product Listing Ads (PLAs) are one of Google's strongest and most effective tools for measuring ROI and driving new traffic. Etsy's Jay Bergensen indicated PLAs, since launching with them in September, have generated an average of 4 million monthly visits directly to product listings featured. To emphasize the PLA's significance, one third of those visitors were new to Etsy. There are also a handful of new company's which are embracing product searches and are using them as a way to track consumer trends. Wantering.com is essentially a search tool, directing consumers to product pages of various online stores. The site also offers a preview of the seasons trends to appeal to consumers who are fashion-oriented. They are linking search and purchase for a consumer who is perhaps just browsing. While search drives 45 percent of an online stores' average web traffic, only 5 percent of a users time is spent in a search box. PLAs, product images and a new generation of search/shopping sites like Wantering are changing the game and having a real impact on sales. Our E.COMMERCE Course includes buying basics, online merchant laws for major markets in Europe, North America, Australia and Asia. Marketing and effective design are also some key components. Rabeanco, a popular leather goods brand in Asia, is expanding their reach into North America through e-commerce. The brand has been growing steadily for the past 10 years and has a loyal following in each Asia region. "After taking Asia Pacific by storm, we are prepared to launch our first-ever e-commerce platform in the US and wholly owned retail stores" said Elaine R Sugimura, President & CEO of Rabeanco USA. Rabeanco is primarily designed and manufactured in Asia, and inspired by the quality, craftsmanship of Italy and the hardware and character leathers found there. Minimalist, colourful, practical and playful, the collection has an aesthetic which is global - and certainly appeals to the North American consumer. Rabeanco is tagging themselves as an affordable world-class brand and does not discount their brand, ensuring a certain classic, quality appeal. With a one billion pound sales ambition in sight, the UK online-only retailer Asos achieved notable results by aiming for aggressive momentum. Founder and CEO Nick Robertson has had a very positive outlook for the company's global expansion, narrowing its target audience to a niche market of trend-forward twenty-somethings. Associated British Foods' budget retailer Primark has unexpectedly announced a trial partnership with Asos just two month after deciding not to go forward with their own online channel. Although Primark has reported exceptionally strong sales figures this year, with a 24 percent increase to £2 billion for the first half of its financial year, the opportunity to partner with Asos was perhaps to good to say 'no' to. As done in their Boutique section, Asos will run trials consisting of a small product selection, which will allow Primark to continue to focus on its brick-and-mortar expansion. The deal allows Primark to test how an online channel will speak to its international customer without a heavy up-front investment. Asos has proven global success with a 37 percent increase in quarterly sales, drawing from British high street fashion and maintaining a keen eye for trend. Primark's rival high street brand New Look joined Asos last year on the site and has become one of the site's top selling brands.